Downtown Dental makes it our goal to provide stellar service to you and your family. We know that as a new patient, you might have questions, and we are happy to answer them. Below are a few of the questions we get asked most frequently. If your questions is not answered in the FAQs below, please contact our office and we’ll speak with you! Yes! We will file for any insurance plan. You will be responsible for your copay at the time of your visit. Patients may also be responsible for an estimated percentage of treatment at the time of service. We try our best to give patients an accurate estimate of what out of pocket expenses will be owed, but please be aware that this is an estimate and may change once your claim is filed with insurance. We are happy to work with you and your insurance company to figure out the best way to maximize your benefits. Every insurance plan is different, so please try to familiarize yourself with your plan’s coverage and limitations. We are conveniently located just a few blocks east of the downtown pedestrian mall. We are near CFA/the old Martha Jefferson Hospital and approximately 1.5 miles from UVA. We want to get you out of pain, fix your broken tooth, or help in whatever way we can! Please call our office, so that we can best address your needs. We also realize that not all emergencies occur during business hours – For our existing patients, we have an emergency after-hours phone and will help figure out the best way to assist you until an appointment can be made. Do you accept new patients? Children? Pets…? Yes! We would love to meet you and your whole family from kids to grandparents (sorry, though, we are unable to help with the four-legged family members)! Can you do all my treatment at your office? Drs. 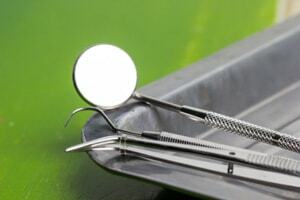 Yarbrough and Stump are trained in all aspects of dentistry and able to provide many dental services. However, there may be some situations when a referral to a specialist will provide the best result. We would be happy to speak with you about your individual needs and requests.